We went to Hospital Hole to collect samples for Madison's project. It took all day as Roger's Park is still closed and we had to launch the boat at an alternate site several miles down river. 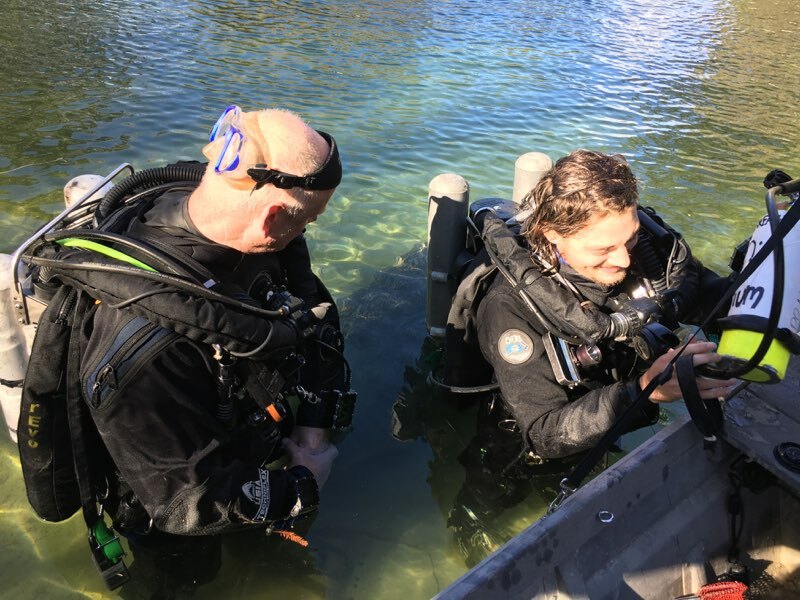 Bobby and Dr. Garey did three dives, collecting water, biofilm and sediment samples from a number of locations at depths of 40-130 feet deep. Madison did boat support and took care of all the samples. The manatees were in full force. 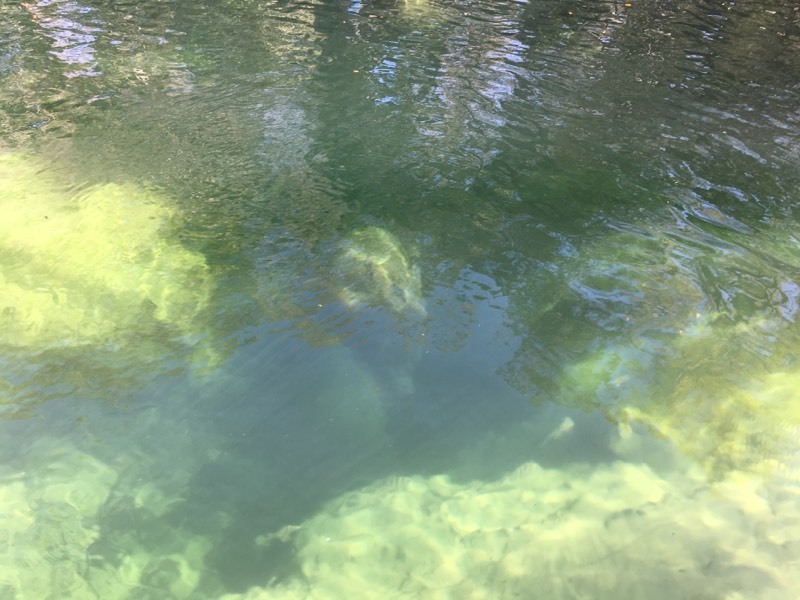 In the winter they leave the chilly water of the Gulf of Mexico and come up the spring-fed rivers where the water is always 74 degrees F. Usually in the winter there are several families of manatees present around Hospital Hole. Back at the lab, everyone had a very late night doing all the water chemistry measurements.